If you are looking for some simple Halloween crafts to make with the children these scary monster cards could not be easier. 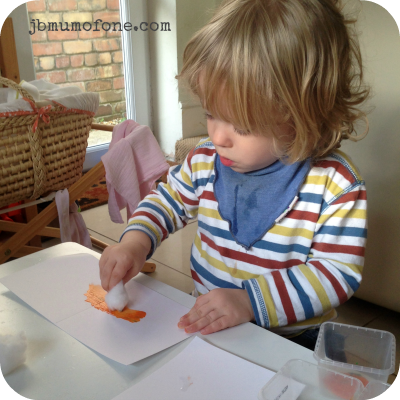 The boy now loves to paint with cotton wool so we made a few coloured smudges for the monster bodies on a piece of white card. We then added the all-important googley eyes and finally I drew on some limbs in black marker. For more Halloween Craft Ideas why not check out my page here or follow me on pinterest. Thank you. We like our craft simple in this house lol! These are ACE. Totally doing this! So easy! I’m going to use yellow because my son is obsessed with Despicable Me. And googly eyes. This is perfect! Thank you. These are brilliant! 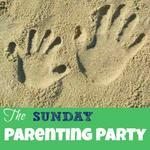 Might use this idea as an activity at an upcoming NCT Halloween Party for our babies using their hand or foot prints. I was crafting yesterday with Munch, I could totally turn what she made into one of these! Fabulous idea! Thanks for sharing. 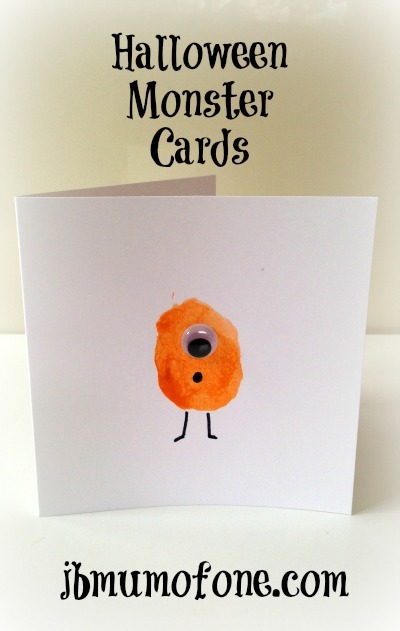 I love the googly eye cards – such a simple but fun idea! I’m definitely going to do this! Very cute! It’s amazing how fun googlie eyes can be! 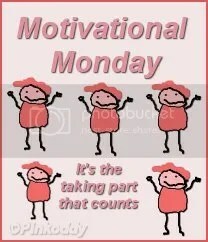 Stopping by from Motivational Monday. Thanks Kim. So true. Googley eyes can make almost anything look cute!